At our dental office in Warsaw, a large part of what we do involves educating our patients and community about all things related to oral health. 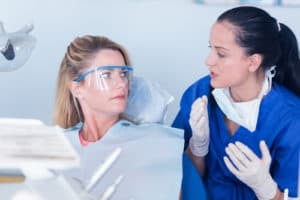 While we’re always ready and willing to talk about dentistry, there are some key elements that we feel are the most important for you to know. Read on to learn the five things that topped our list. So is brushing and flossing everyday. Bi-annual dental visits aren’t the only way to help keep your smile healthy. Following a proper oral hygiene routine at home is also essential. Your dentist in Warsaw recommends brushing twice a day and flossing once a day to remove food particles, bacteria, and plaque. Just remember to brush gently using small circular motions to avoid damaging gum tissue. If it’s been longer than six months since you’ve been to the dentist, we encourage you to call our Warsaw dental office to schedule an appointment with us today.